Club Penguin Cheats by Mimo777 Club Penguin Cheats by Mimo777: Club Penguin Spanish Blog! This month, with the equipment we have prepared the superbrilliant news. Penguin club will move to the real world in Santiago of Chile and City of Mexico! Also it will be a game! In addition, as the surprises are some of their favorite small things, we have prepared several of them! Mmm… but to this height I cannot reveal more. And for those that do not live in those cities, not to worry! With the equipment we are working to take the diversion to all sides. LOL, I just finished commenting on your other post, and went back on this page, and bam! A new post! P.S. I think I forgot to add "(CPG Mod)" in my last post, sorry. Wow that is awesome! I hope they do this in the uk! Yeah, cool! That's all I have to say for now... also, I'm commenting from my Wii! Cool! You are commenting from your Wii. I have a Wii but ive never commented from there before! Waddle on, Peachem! Greetings from Mexico, Gategirl187! This post is saying that Club Penguin will have some kind of activities in Chile and Mexico. In the real world! Finally! I've been waiting for this since... forever! I really dont understand this! Ok Mimo first when i logged onto club penguin today the start up screen said "Play card-jitsu fire an all NEW game for members!" Now don't you think club penguin should update this or is it a sign for card jitsu water? I've been to Santiago last week and I've been to Park Araucan. 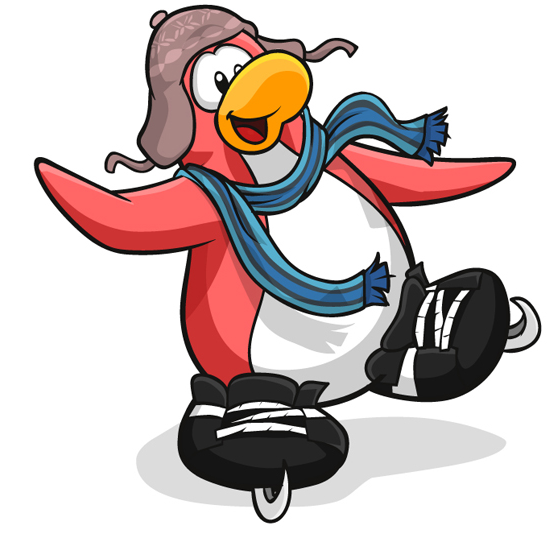 There I went to the ice rink which was full of Club Penguin things! The walls and tables had CP drawings, it was awesome! i wish i had taken a picture to show it to you! Awesome! I'm half spanish. True! Yeah anyways, my yellow puffle has a blue tongue?! Mucho weird! P.S. I know how to be a cpg mod but everyone else always answers the questions before me!! Please do not put (CPG Mod) after your name unless the comment involves answering someones question or correcting someone. Hola, Breezydan99, ¿cómo estás? (Hello, Breezydan99, how are you?) Billybob is trying to say that soon there'll be real-world activities in Mexico and Chile. ¡Por fin! Ya quiero que sean estas actividades, yo vivo en México! También espero que sean en otras ciudades de México porque yo no vivo en la capital. Finally! I can't wait for this activities, I live in Mexico! I also hope that these can be in other cities because I don't live in the capital city. So if the spanish and portugese transalation is actually ment for central and south america rather than spain and portugal then the french one must actually be ment for canada rather than france. Hey – nice blog, just wanting around some blogs, appears a reasonably good platform You Are using. I’m presently using Drupal for a few of my sites but seeking to change one of them over to a platform very much the identical to yours as a trial run. Something in particular you would suggest about it? brinkka2011 says: Hi, I love your weblog. Is there some thing I can do to obtain updates like a subscription or some thing? Im sorry Im not acquainted with RSS?